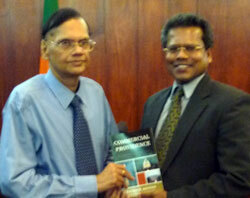 Prof. Patrick Mendis presenting his book to Foreign Minister Prof. G. L. Peiris. COLOMBO (Sept. 7, 2012) — Sri Lanka Minister of Education Bandula Gunawardhana, who is Chairman of the Sri Lanka National Commission for UNESCO, offered congratulations on the appointment of Sri Lankan-born American diplomat and professor Patrick Mendis to the UNESCO Commission by the U.S. Secretary of State Hillary Clinton. “As fellow alumni of the University of Sri Jayewardenepura, I am very proud and pleased to congratulate you and remind you of the honour you have bestowed upon your mother country through such achievements,” the Minister wrote to American Commissioner Mendis. The American diplomat was born and educated in a rice farming village of Polonnaruwa, a World Heritage Site. For his youth activities, he was then honored with the National UNESCO Award. “I missed my 13-water buffaloes, a milking cow, and our three-acre rice field,” said Mendis in a phone interview from Washington, D.C.
At the age of 18, Mendis won one of the nine American Field Service (AFS) scholarships among over 100,000 applicants in Sri Lanka. He earned his American high school diploma in the State of Minnesota where he learned to speak English for the first time. Commissioner Mendis later obtained his BSc degree (First Class Honours) from the University of Sri Jayewardenepura before he returned to the United States on a Hubert Humphrey fellowship for graduate studies at the University of Minnesota’s Humphrey School of Public Affairs. Author of several acclaimed books, Dr. Mendis is also an alumnus of the Kennedy School of Government at Harvard University. “You have certainly gone a long way by leaving water buffaloes to embrace the reindeer in the beautiful snow landscapes of America. It seems natural that UNESCO-Sri Lanka had recognized the great potential in you from a young age,” wrote Prithi Perera, the Secretary General of the UNESCO Commission in Colombo. Before becoming a naturalized U.S. citizen, Professor Mendis represented the Government of Sri Lanka as a “Youth Ambassador” at the UN with distinguished Sri Lankan Ambassador Jayantha Dhanapala, who later became a mentor to Dr. Mendis. To recognize his outstanding leadership at the International Year of the Youth, the young ambassador was honored with the UN Medal. A life-long Sarvodaya volunteer, Professor Mendis worked with legendary Sarvodaya founder Dr. A. T. Ariyaratne and established a Sarvodaya Peace Prize and a number of tsunami scholarships in Sri Lanka. From the sales of his books, he has endowed the leadership and management awards at the University of Sri Jayewardenepura. The founder of the Tsunami Leaders Caring (“TLC”) Foundation, Professor Mendis serves as an advisor to the Educate Lanka Foundation that sponsors underprivileged students with financial scholarships in Sri Lanka. 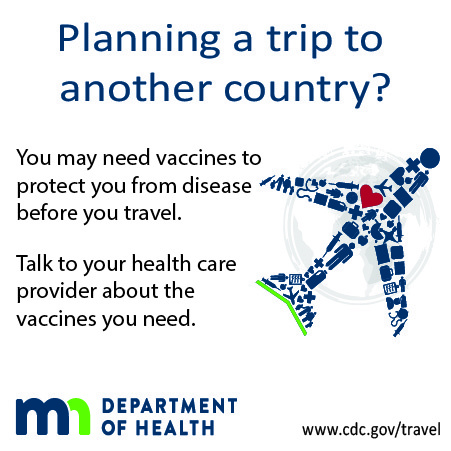 During his career in international organizations, government and academia, Commissioner Mendis worked in and traveled to over 100 countries and visited all 50 states in America. He is an affiliate professor of public and international affairs at George Mason University in the United States and a consulting professor of international relations at the Guangdong University of Foreign Studies in China. “We are so fortunate to have Patrick Mendis as a commissioner. The depth and breadth of his unique experience as a teacher, diplomat, author, traveler, and scholar make our UNESCO Commission stronger,” said Eric Woodard, Executive Director of the UNESCO Commission at the U.S. State Department in Washington, D.C.
“This is a great privilege that has been bestowed on Professor Mendis by the high echelons of the U.S. government,” said Secretary General Perera. “As a Sri Lankan born, the commissioner has brought great honour to his country of birth. It is truly a well-deserved recognition of his acclaimed works and extensive experiences in various fields of public and foreign policy,” the Secretary General added.